There are dozens of Philadelphia psychiatrists and psychiatric nurse practitioners. Thus, finding the best psychiatrist in Philadelphia for your individual needs can seem rather daunting (especially when struggling with depression, anxiety, inattention or other difficulties). This site is designed to help you not only determine whether our Psychiatrists and Psychiatric Nurse Practitioners may be the best fit for your individual needs, but also to provide you with basic information regarding Philadelphia psychiatry, mental health treatment in Philadelphia and psychiatric resources in Philadelphia. What is a psychiatrist? What is the difference between a psychiatrist and a psychologist? A psychiatrist is a medical practitioner specializing in the diagnosis and treatment of mental illness. Psychiatrists in Philadelphia generally have four years of undergraduate studies in college, four years of medical school, a year of internship in medicine or surgery and then three additional years of specialized training in psychiatry, psychopharmacology and psychotherapy. Therefore, unlike psychologists and therapists, psychiatrists in Philadelphia are physicians who can provide both therapy and medication management for their patients. A psychiatric nurse practitioner (NP) is a medical practitioner specializing in the diagnosis and treatment of mental illness. Psychiatric nurse practitioners in Philadelphia must complete a Bachelor’s of Science in Nursing, a Master’s of Science in Psychiatric and Mental Health Nursing and then become board certified to prescribe medications; both psychiatrists and psychiatric nurse practitioners are psychopharmacologists in Philadelphia. Psychiatric nurse practitioners in Philadelphia may work relatively autonomously, providing both medication management and therapy for their patients, provided that they have an agreement regarding supervision and case discussion with a physician or psychiatrist in Philadelphia, PA.
A Child and Adolescent Psychiatrist is a physician who completed four years of medical school, a year of internship in medicine or surgery, an Adult Psychiatric Residency and then completed an additional 2 years of “Fellowship” focusing only on the Psychiatric treatment of children and adolescents. Why see a psychiatrist in Philadelphia or psychiatric nurse practitioner in Philadelphia when my primary care doctor can write for the same medications? Philadelphia psychiatrists and general practitioners (internal medicine physicians and family doctors) have the same four years of medical school and similar internships. However, psychiatrists in Philadelphia have three additional years dedicated to psychiatric evaluations and treatment and this provides them with expertise in mental health that other physicians do not have. For example, a general practitioner can prescribe medication for elevated cholesterol or blood pressure, but some patients may benefit from having the additional expertise of a cardiologist. Similarly, psychiatric nurse practitioners in Philadelphia complete extensive training in the medical care of patients with various medical conditions, followed by additional training in the evaluation, diagnosis and treatment of individuals struggling with mental health difficulties. This training includes board certification in psychiatric mental health nursing, psychopharmacology and the ability to prescribe psychiatric medications to patients. Psychiatric nurse practitioners in Philadelphia actually have several times the training in treating mental illness, than medical doctors (MD’s) in primary care specialties. How Can I Find a Psychiatrist or Psychiatric Nurse Practitioner Near Me? Whether you live in Philadelphia, Cherry Hill or the main line, finding a psychiatrist or psychiatric nurse practitioner that fits your specific needs can seem overwhelming. However, it’s no different than finding a specialist in any other area of medicine. Talk to your doctor about psychiatrists in Philadelphia that they recommend, call the departments of psychiatry in Philadelphia at local hospitals or teaching institutions, call your insurance carrier and ask about psychiatrists in Philadelphia and psychiatric nurse practitioners near you that accept your insurance plan or search the Internet for psychiatrists in Philadelphia. Specify in search engines what you are looking for (and where). For example, searching “find psychiatrists” may give you a list of psychiatrists throughout the United States, while searching with phrases like “psychiatrist in philadelphia,” “psychiatrists in philadelphia,” “psychiatrist near me” or “psychiatrists near me” will direct you to psychiatric nurse practitioners and psychiatrists in Philadelphia. Search engines like “Psychology Today” can allow you to filter searches based on insurances accepted or areas of psychiatric expertise. 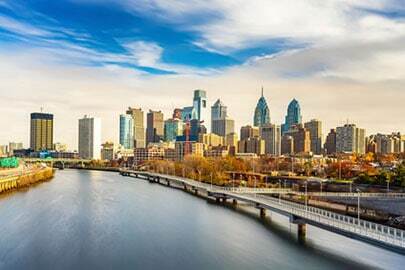 If you have family or friends who have seen Philadelphia psychiatrists or nurse practitioners it may be reasonable to ask if they would recommend or not recommend a certain doctor or psychiatrist in Philadelphia. See the resources tab for additional information on finding a psychiatrist. I’ve found several psychiatrists near me, now how do I choose the best Philadelphia psychiatrist for me? Take your specific psychiatric illness or struggle into consideration. For example, if you have been hospitalized for your mental illness, you would likely benefit from a Philadelphia psychiatrist with admitting privileges at a hospital nearby. In this case, you may want to call Philadelphia psychiatric departments directly (University of Pennsylvania & Jefferson for example). If you struggle with anxiety and panic, you may want a psychiatrist in Philadelphia trained in CBT or exposure therapy. If you are looking for a child or adolescent, you would likely benefit from a Philadelphia psychiatrist who completed a child and adolescent fellowship. If you have multiple medical co-morbidities, you may benefit from a psychiatrist in Philadelphia who has a strong medical background or is affiliated with a hospital network where you currently have providers in other areas of medicine (making coordination of care more seamless). Finally, psychiatry and mental health treatment in Philadelphia is not unlike other areas of medicine in that psychiatrists’ offices are run in different ways (none being “right” or “wrong” but you may have a preference). Do you want a 5-minute checkup or a 45-minute therapy session? Do you want a psychiatrist or nurse practitioner who prescribes quickly or more conservatively? Do you want to see a psychiatrist or nurse practitioner in your neighborhood or a few towns over? Do you want the ability to have walk-in psychiatric visits or do you want to have a “reserved” time? Do you want a separate therapist and Philadelphia psychiatrist or one provider who does both? Do you want a psychiatrist who accepts your insurance or do you prefer fee-for-service for discreetness? Would you prefer to not even go to a psychiatrist’s office at all and have Tele-psychiatry or phone appointments? If you are interested in seeing a psychiatrist in Philadelphia or psychiatric nurse practitioner in Philadelphia, I recommend that you just call one directly. What better way to see if someone will be a good fit and quickly get some of these questions answered!